What is a Data Center Rack? Investing in data center racks or a data server cabinet is a good idea if working with technology is part of your everyday business. Keeping all your items off of the floor and organized, these simple devices help keep cords from tangling. This makes your tech items easier to find. So, what exactly are data center racks? Why do you need them, and how do you use them? organized. That way, you will always know where everything is and you know it is safe from harm. What Is A Data Server Cabinet? Like a data rack, a server cabinet stores and organizes your electronics. Unlike racks, these cabinets close completely and many offer you the ability to manage the temperature more succinctly. These cabinets are great for those working with extremely temperature sensitive electronics. Many of these cabinets also keep your electronics safe from both external damage and thieves, by offering a locking feature. A data server cabinet is perfect for an office or other room where people are constantly in and out, leaving your electronics vulnerable. Data server cabinets and racks are great for technology professionals and home computer users alike. Both cabinets and racks protect your belongings from weather damage. They also keep cords and wires separated and provide an easy place to store all kinds of technology. Some even provide protection from those looking to get their hands on your electronics. Data centers racks and cabinets are a good idea from both a protection and organizational standpoint. No matter what the size of the office, these specialized racks and cabinets are a must to safeguard your business and its most important records. 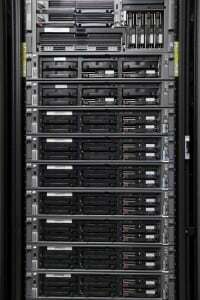 Investing in data center racks or a data server cabinet is a good idea if working with technology is part of your everyday business. Keeping all your items off of the floor and organized, these simple devices help keep cords from tangling. Click here for the full article!